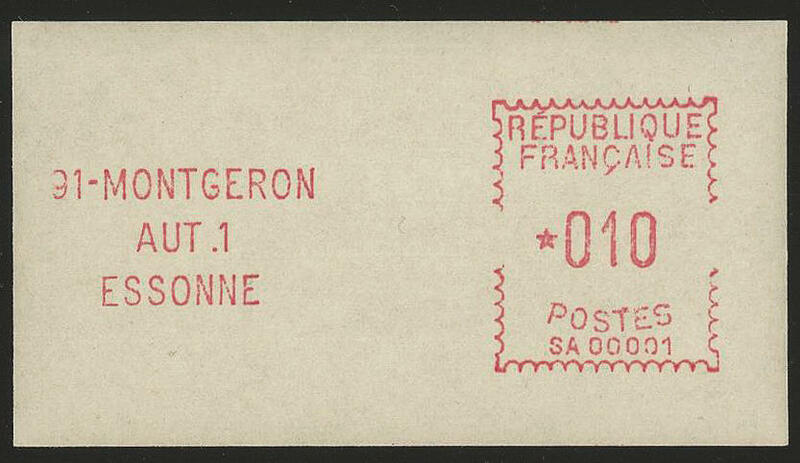 3779 ✉ 1 10 C. Montgeron 1969, the very scarce 1. 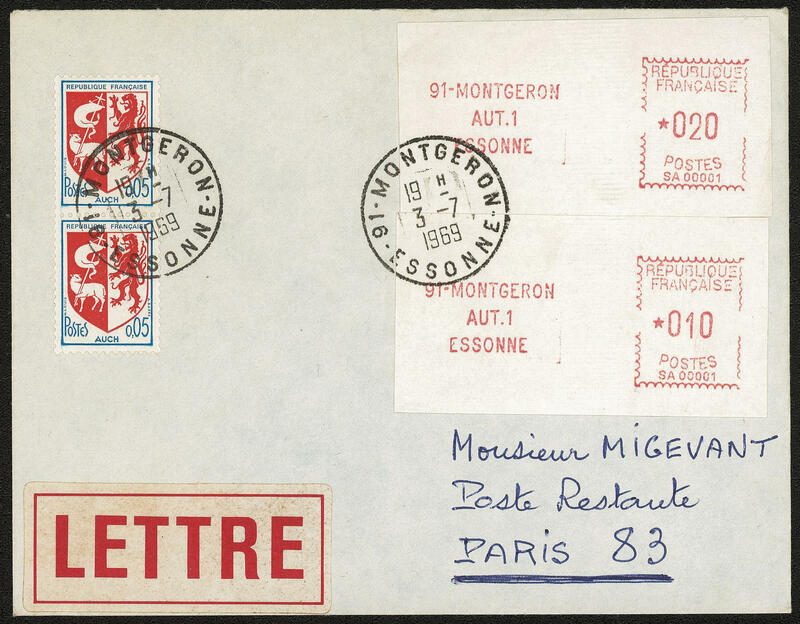 Coil stamp for vending machine with additional franking on very nice cover from \"MONTGERON 9.5.69. 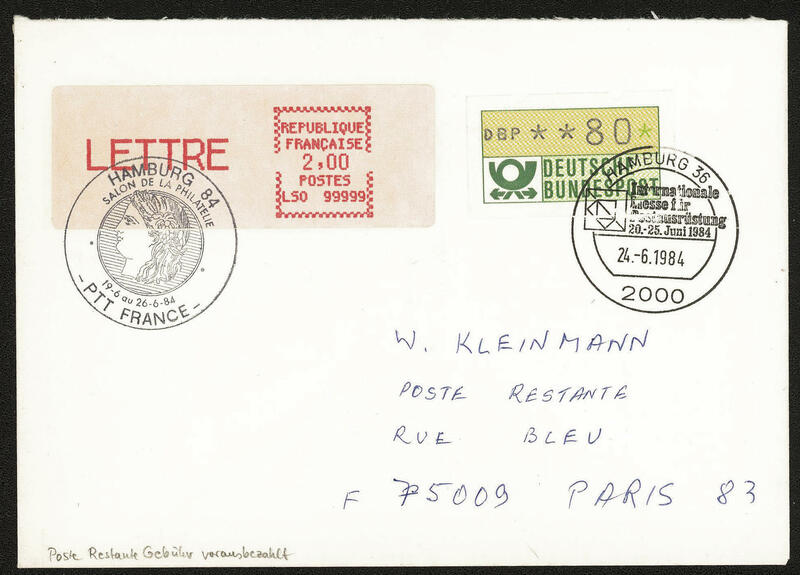 \" to Quingey with arrival postmark and returned, a wonderful cover, Michel for single used 4000,- €. 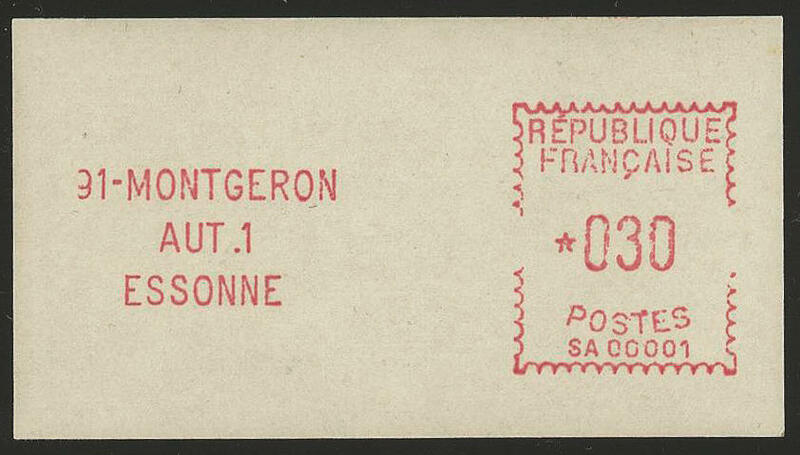 3780 ✉ 1 20 C. Montgeron 1969, the scarce 1. Coil stamp for vending machine with additional franking, in perfect condition on very nice special delivery letter from \"MONTGERON 30.5.69. 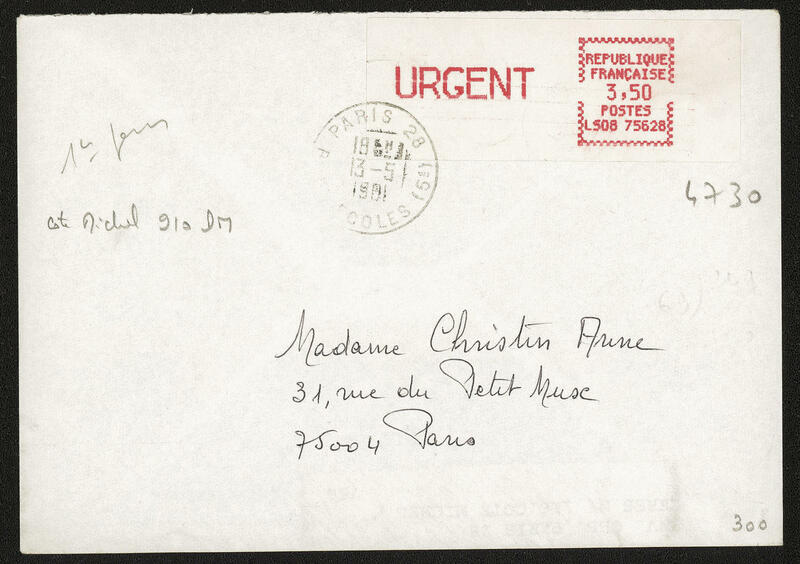 \" to Paris with arrival postmark and on the back postage due stamp. Michel for single used 4000,- €. 3781 02. 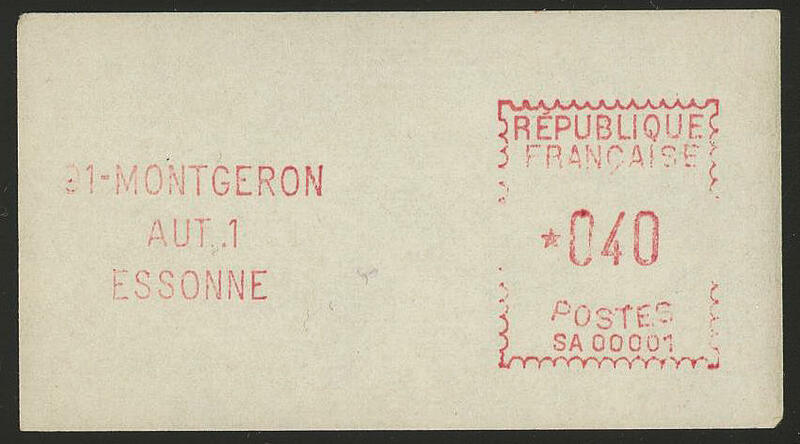 Jan 10 C. Montgeron 1969, the very scarce 2. Coil stamp for vending machine with the variety \"dot between AUT and 1 centered, paper white\", fresh colors and in perfect condition mint never hinged without any signs. There are only few examples hereof have been preserved! Michel 9000,- €. 3782 ✉ 02. 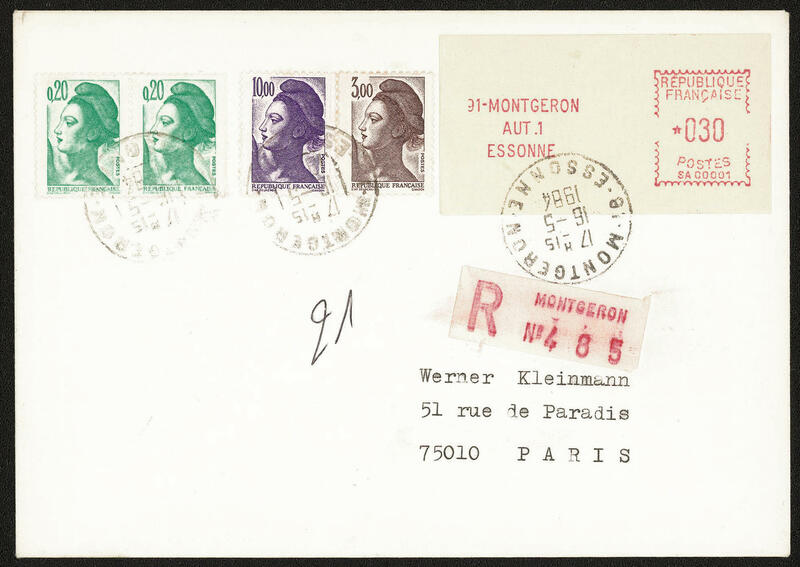 Jan 10 C. And 20 C. Montgeron 1969, white paper, \"dot between AUT and 1 centered\", in perfect condition with additional franking on very nice special delivery First Day Cover from \"MONTGERON 3.7.69. 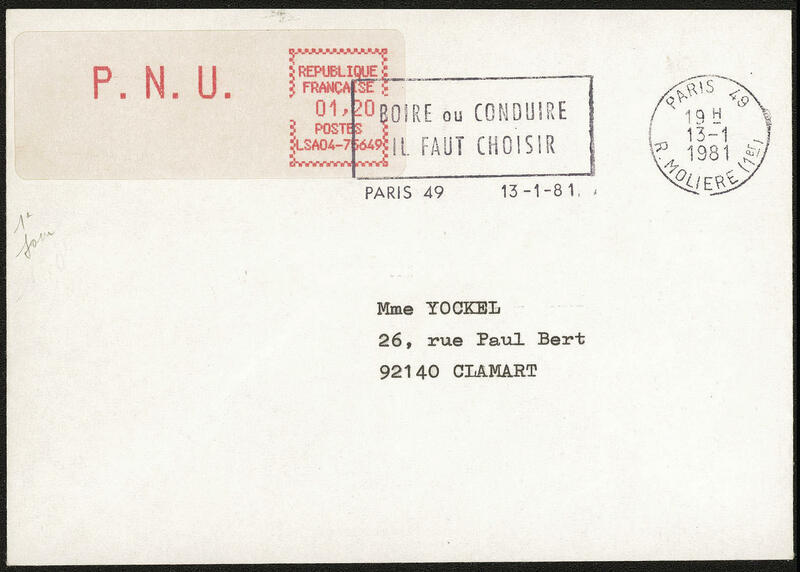 \" to Paris with arrival postmark. A coil stamp for vending machine rarity! Michel 5400,- €. 3783 ✉ 02. 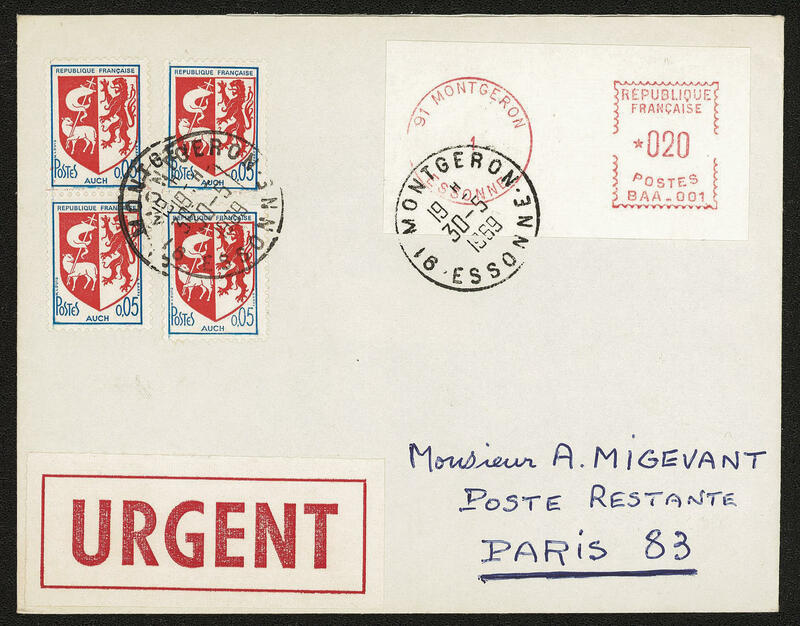 Jan 30 C. Montgeron 1969, white paper, \"dot between AUT and 1 centered\", in perfect condition with additional franking on very nice special delivery letter from \"MONTGERON 4.7.69. \" (2. 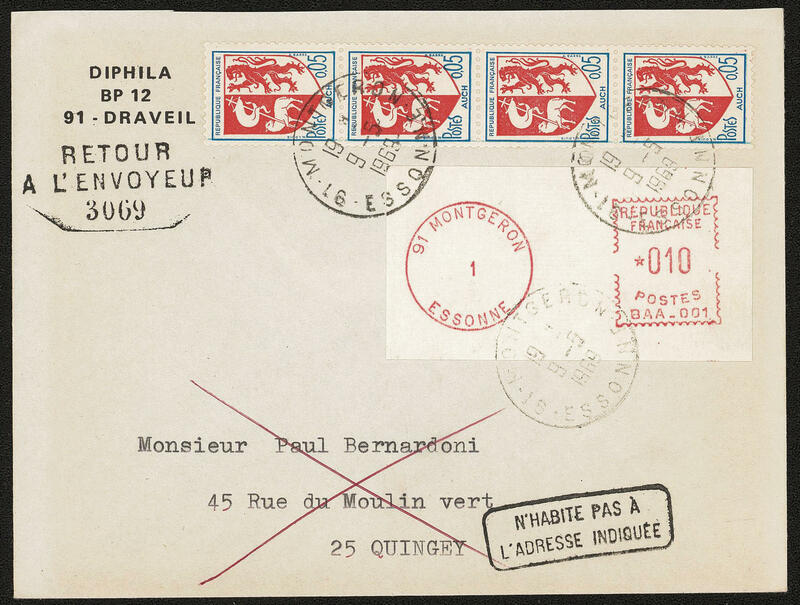 Day of issue) to Draveil with on the back postage due stamp and arrival postmark. Very rare! 3784 02. 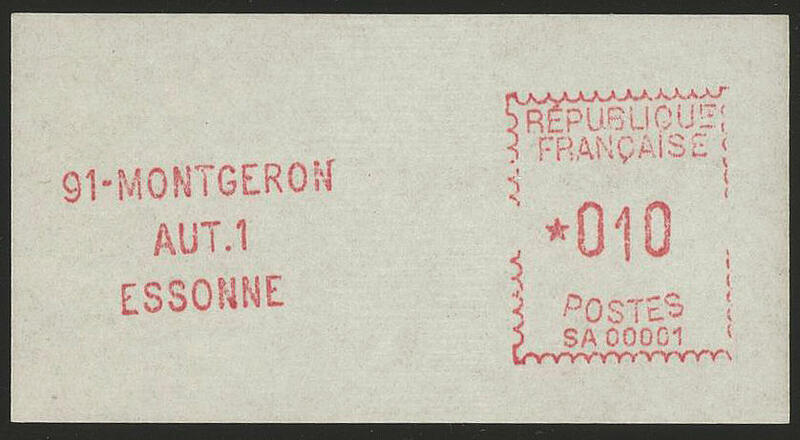 Feb 10 C. Montgeron 1970, the scarce 2. Coil stamp for vending machine on chamois paper, in perfect condition mint never hinged, without any signs. Michel 800,- €. 3785 ✉ 02. 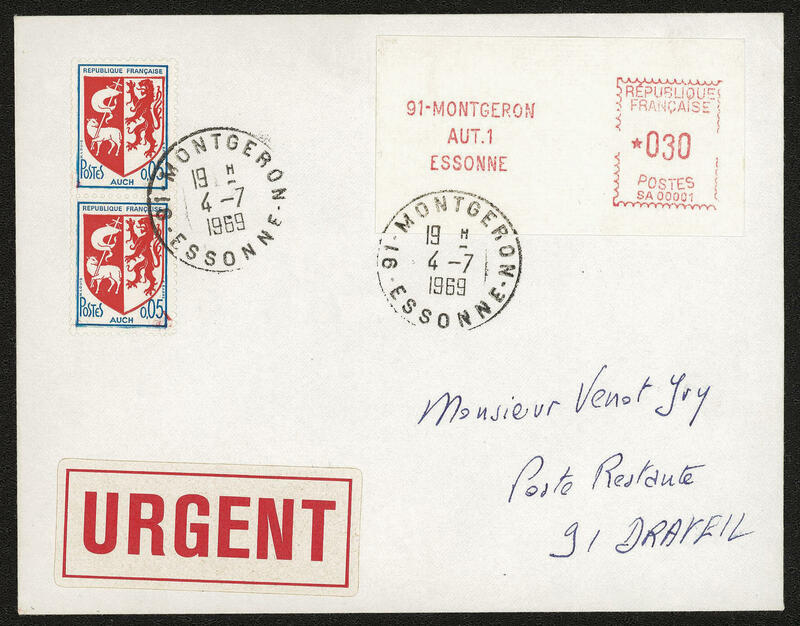 Feb 30 C. Montgeron, chamois paper, in perfect condition with additional franking on very nice registered cover from \"MONTGERON 16.5.84. 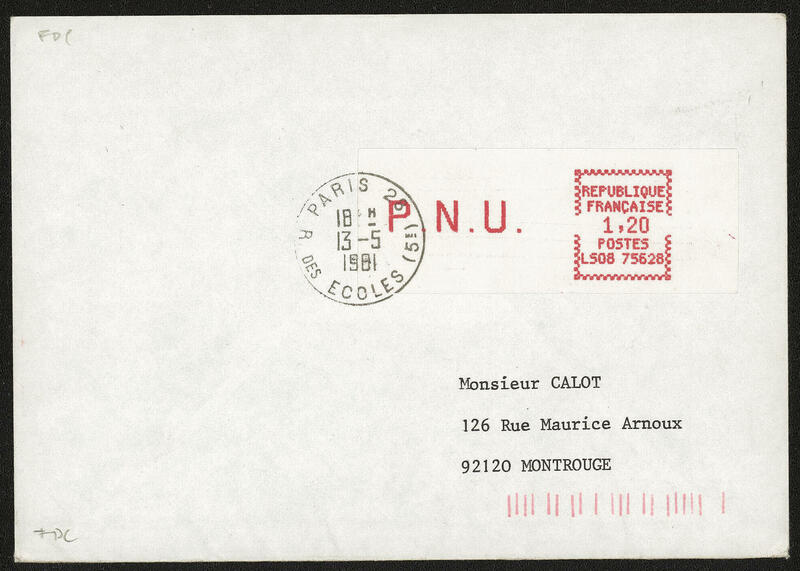 \" to Paris with arrival postmark. 3786 ✉ 02. 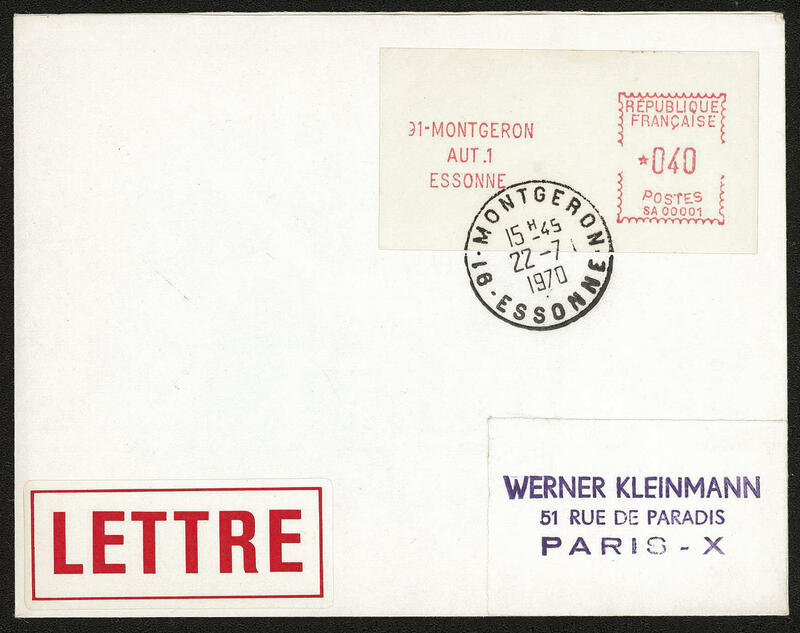 Feb 70 C. Montgeron 1970, chamois paper, faultless single franking on very nice cover from \"MONTGERON 22.7.70. \" to Paris. Rare! 3787 ✉ 02. 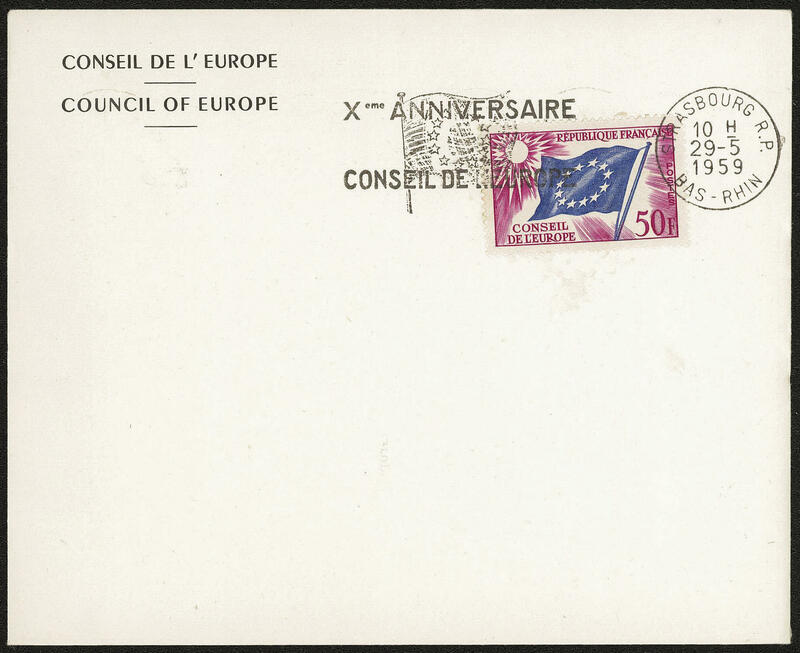 Feb 10 C. And 20 C. Montgeron 1970, chamois paper, in perfect condition with additional franking on very nice cover from \"MONTGERON 6.6.70. \" to Pornichet. Michel 1800,- €. 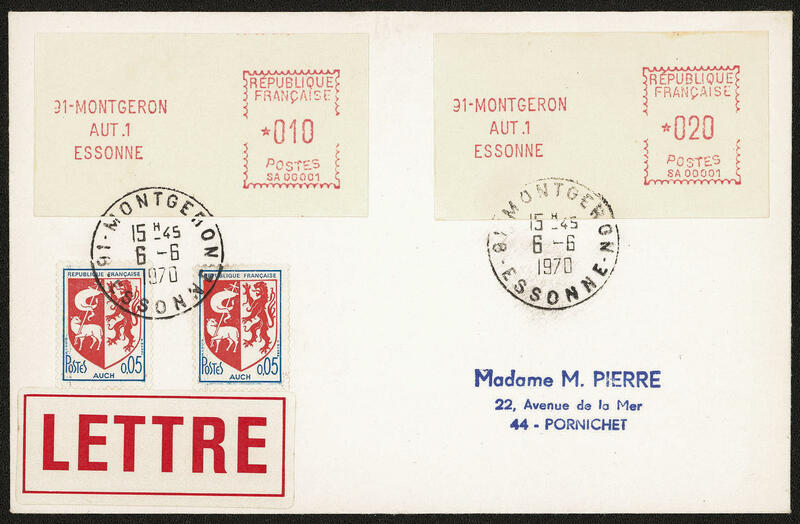 3788 2.2S1 30 C. And 40 C. Montgeron 1970 on chamois paper, the scarce set fresh colors and in perfect condition mint never hinged, without any signs. Michel 4000,- €. 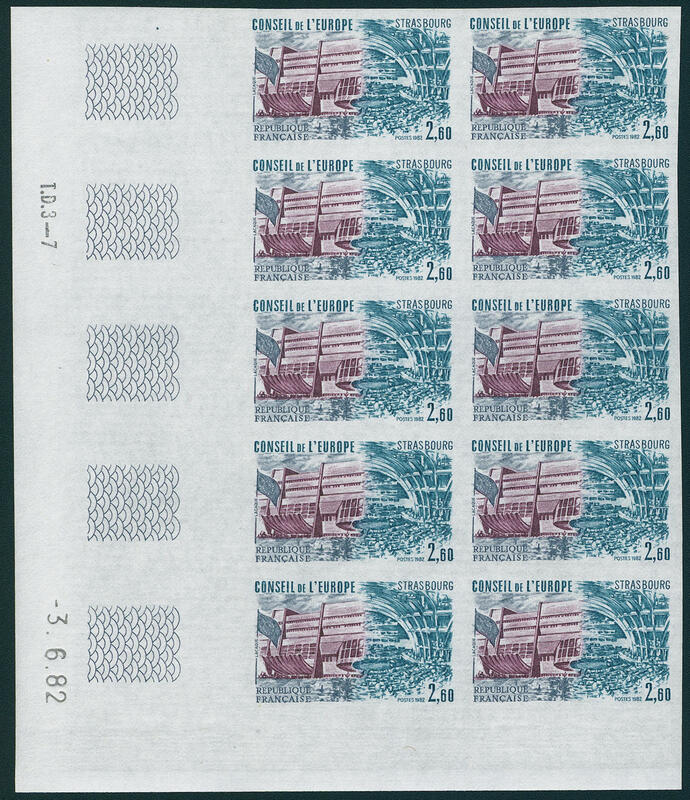 3789 3.1.6yd Coil stamp for vending machine series 1981, impression red lilac, the set to four values in the denomination value 1, 20 Fr., 1, 40 Fr., 2, 20 Fr. And 3, 50 Fr., fresh colors and in perfect condition mint never hinged, a significant rarity the coil stamp for vending machine. Michel 7000,- €. 3790 ✉ 3.1xb 2, 50 Fr. 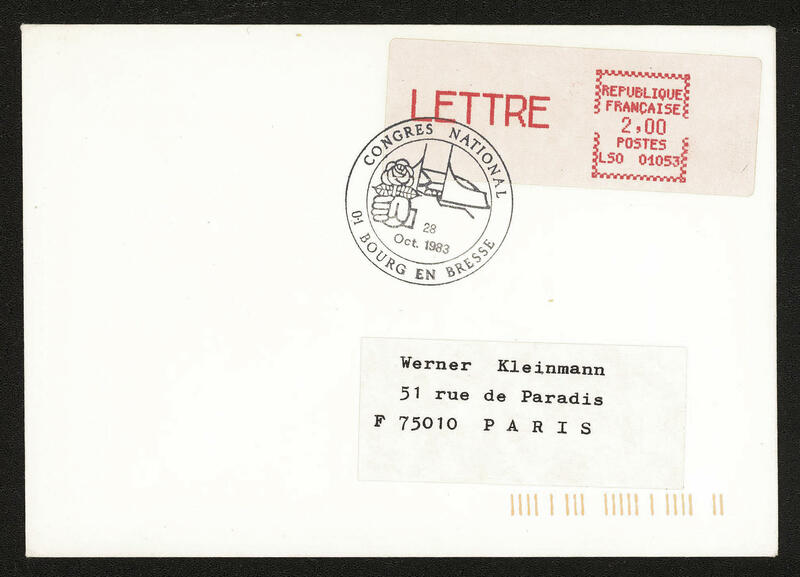 Coil stamp for vending machine on faultless First Day Cover from \"PARIS 13.1.81. \" in the local usage used. Michel 500,- €. 3791 FDC 3.1xb 1.20 Fr. 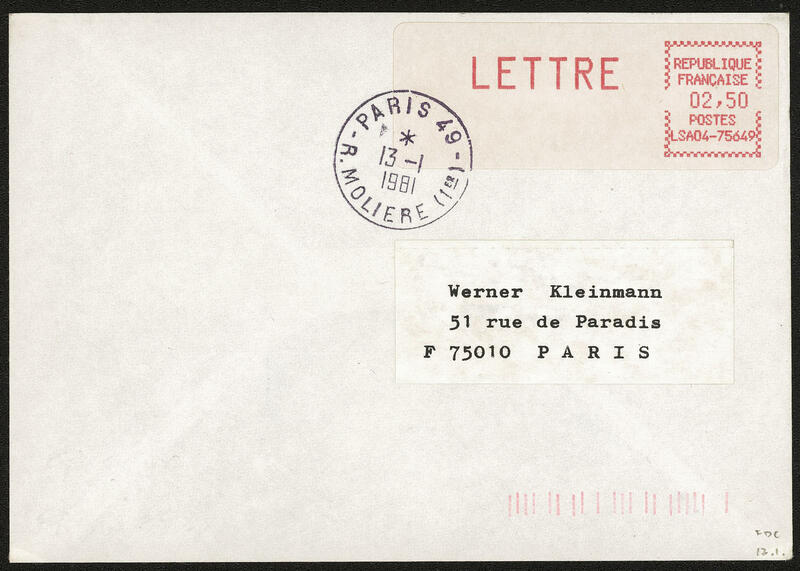 Coil stamp for vending machine on First Day Cover from \"PARIS 13.1.81. \" to Clamart. Michel 500,- €. 3792 ✉ 3.2.2xa Coil stamp for vending machine series 1981, impression lilac, additional imprint set complete on registered cover, as well 2 Fr. In carmine red on cover in Hamburg used as prepaid storage fee. 3794 FDC I Nationalkongress the socialist faction, 2 Fr. Rose red, in perfect condition on First Day Cover. Michel 250,- €. 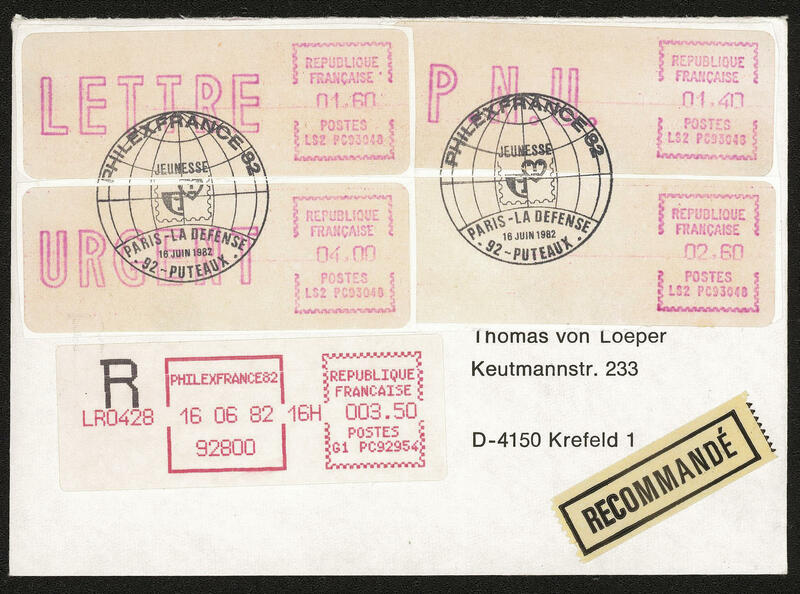 3795 ✉ Officially Specimen, three cards and a cover, like always not stamped, two documents alongside used \"PARIS 4.10.79. \". 3798 FDC 4II,6II 25 Fr. And 50 Fr. 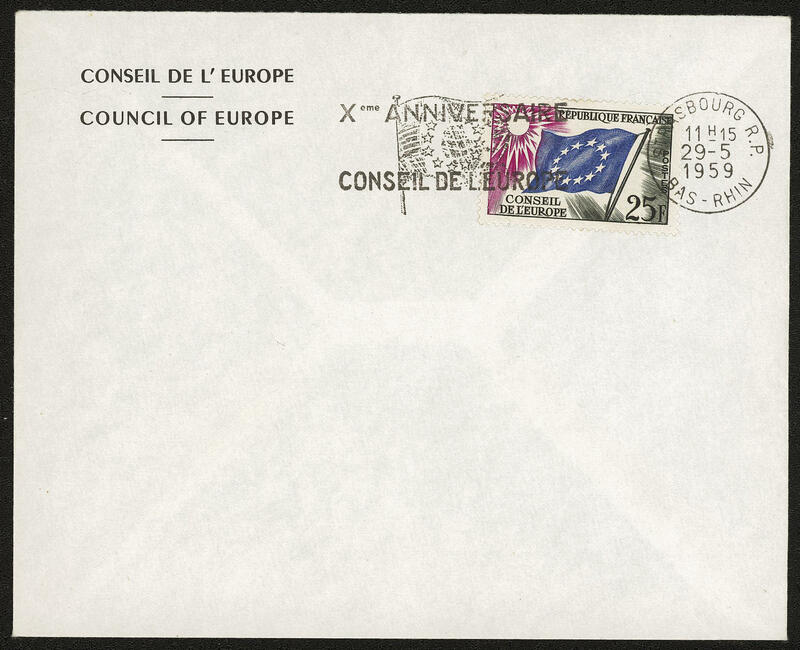 European flag 1959, both values on two faultless service cover First Day Cover with first days machine cancel \"STRASBOURG 29.5.59. \". Michel 1500,- €. 3799 FDC 6II 50 Fr. 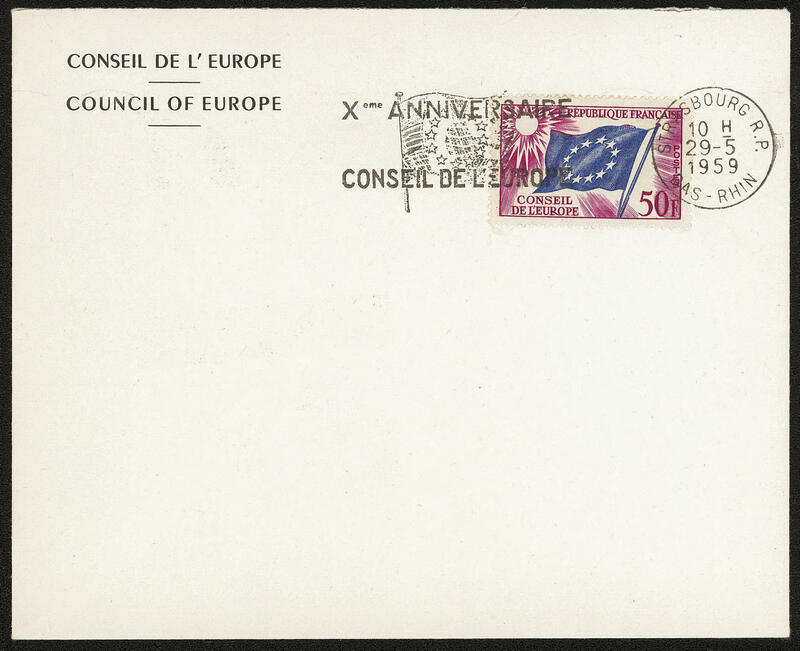 European flag 1959 on scarce official letter First Day Cover in perfect condition with appropriate advertising postmarks \"STRASBOURG 29.5.59\". Michel 750,- €.